When someone mentions Play-Doh, what is the first thing you think of? Is it those flexible yellow containers? Perhaps it is the smooth and squishy texture of the putty? More likely though, you are probably thinking, nay, smelling, Play-Doh’s unmistakable scent. Play-Doh describes its scent best as “the combination of a sweet, slightly musky, vanilla-like fragrance, with slight overtones of cherry, and the natural smell of salted, wheat-based dough.” If you still can’t imagine its scent, put down your device, go find the closest toy store and pop open a tub of Play-Doh. We’ll wait. ow Hasbro (Play-Doh’s owner), is seeking to trademark its distinct scent. Sound simple? Not quite. The U.S. Patent and Trademark Office defines a trademark or service mark as “any word, name, symbol, device, or any combination, used or intended to be used to identify and distinguish the goods/services of one seller or provider from those of others, and to indicate the source of the goods/services.” Think Google’s logo or the golden arches of McDonalds. More often than not, trademarks are tangible words or symbols branding a product or service. It gets a bit more complicated when you attempt to protect something intangible, like a scent. There are two types of registrations: Principal and Supplemental. A Principal Registration is what Play-Doh has applied for and affords the most protection for a mark, including presumption of ownership in the event of litigation and the right to exclusive use of the mark. To qualify for the Principal Register, the mark must have achieved “secondary meaning.” That is, consumers must associate the mark with the particular product or service. So, again, think about the McDonalds arches. However, it is hard to deny that Play-Doh’s scent achieves similar distinctive brand recognition. A Supplemental Registration, on the other hand, functions more as a holding place for a mark while it gains distinctiveness. Although it does not provide the same security as Principal Registration, the Supplemental Register is helpful in preventing others from registering their mark on either the principal or supplemental registers and is inherently easier to accomplish because, unlike the Principal Register, there is no opposition phase for others to attempt to block the mark. prays in its stores; however, it was unsuccessful in achieving principal registration because many other companies similarly use scents to create a general ambiance in stores. Ultimately, Verizon was able to achieve a downgraded registration onto the Supplemental Register. Others have attempted to trademark their scents with limited success, largely because it is difficult for scents to pass the “functionality test.” Put simply, a mark must not serve any practical function of the product or service other than to identify and distinguish it. That is why perfumes and air fresheners often fail to receive principal registration because the product is inherently designed for the functional purpose of smelling. Whether Play-Doh will be successful in achieving its registration is to be determined. Nevertheless, as markets become increasingly more crowded, we will likely see more companies turning to scents as a method of branding and distinguishing their products. Posted by: Kelly A. Williams, Senior Attorney at the Pittsburgh law firm of Houston Harbaugh, P.C. Ms. Williams may be contacted at williamska@hh-law.com or 412-288-4005. Anna Wintour, the editor-in-chief of Vogue, has said, “You either know fashion or you don’t.” I think it is safe to say that the courts are still struggling to understand fashion—at least the extent to which fashion is afforded potentially 100 years or more of protection under the Copyright Act. Generally, “useful articles,” such as clothing are not eligible for copyright protection. However, Congress affords limited protection for artistic elements in useful articles by providing that “pictorial, graphic, or sculptural features” of the “design of a useful article” are eligible for copyright protection as artistic works if those features “can be identified separately from, and are capable of existing independently of, the utilitarian aspects of the article.” 17 U.S.C. § 101. Simple right? Not so simple. The federal courts have struggled to create a uniform standard for applying this provision of the Copyright Act. At least nine different approaches have developed in the courts over the years, and the issue has challenged courts and scholars alike. The U.S. Supreme Court granted certiorari to resolve the widespread disagreement over the proper test for implementing Section 101’s separate identification and independent-existence requirements. Justice Thomas, writing for the majority, held that a feature incorporated into the design of a useful article is eligible for copyright protection only if the feature (1) can be perceived as a two- or three-dimensional work of art separate from the useful article and (2) would qualify as a protectable pictorial, graphic, or sculptural work—either on its own or fixed in some other tangible medium of expression—if it were imagined separately from the useful article into which it is incorporated. While the court has set forth a new, national standard for separability, the application of that standard is not necessarily clear. In other words, while we know “The Devil Wears Prada,” it is also clear that “The Devil Is in the Details” when it comes to actually determining if the new standard is met. 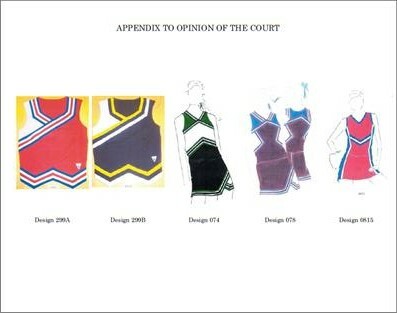 In this case, the majority of the court found that the arrangements of lines, chevrons, and colorful shapes appearing on the surface of Varsity Brands’ cheerleading uniforms were separable features of the design of those cheerleading uniforms. For the majority, the decorations were features having pictorial, graphic or sculptural qualities. Additionally, the court determined if the arrangement of colors, shapes, stripes, and chevrons on the surface of the cheerleading uniforms were separated from the uniform and applied in another medium—for example, on a painter’s canvas—they would qualify as “two-dimensional . . . works of . . . art.” The court further determined that imaginatively removing the surface decorations from the uniforms and applying them in another medium would not replicate the uniform itself. Accordingly, the court held that the decorations were separable from the uniforms. Thus, while the standard has been clarified, the lower courts will be tasked with applying the standard with little guidance on how to do so, which is likely to be challenging if the Star Athletica decision is any indication. Moreover, the Supreme Court did not decide if the Varsity Brands’ designs at issue in Star Athletica were copyrightable—just whether they were separable. 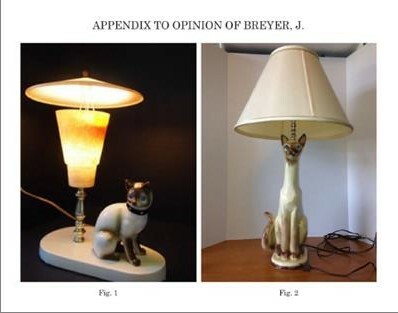 The court explicitly stated that it expressed no opinion on whether the uniform designs were sufficiently original to qualify for copyright protection or whether any other prerequisite of a valid copyright had been satisfied. Therefore, the lower court, on remand, will have to determine if Varsity Brands’ designs are original enough to warrant copyright protection. For more information, including the different and interesting issue that Justice Ginsburg’s concurring opinion raises, see the full opinion of Star Athletica, L.L.C. v. Varsity Brands, Inc. at https://www.supremecourt.gov/opinions/16pdf/15-866_0971.pdf. “The Devil Wears Prada” is a book written by Lauren Weisberger, a former personal assistant to Anna Wintour. The character in the book and later in the successful movie based on the book, Miranda Priestly (played by Meryl Streep in the movie), is believed to be based upon Anna Wintour. by: Picadio Sneath Miller & Norton, P.C. On March 21, 2017, the US Supreme Court, in a 7-1 decision in SCA Hygiene Products Aktiebolag v. First Quality Baby Products, LLC, Case No. 15-927, held that the equitable defense of laches no longer can be used as a defense to a claim of patent infringement. Justice Alito delivered the majority opinion, with Justice Breyer dissenting. Laches is an equitable doctrine that bars a patent owner’s claim for damages in a patent infringement lawsuit if the patent owner waits an unreasonable amount of time before bringing suit against the accused infringer and that delay prejudices the accused infringer’s defense. This defense has existed for decades and its contours were defined by the Federal Circuit in its A.C. Aukerman Co. v. R. L. Chaides Construction Co., 960 F.2d 1020 (Fed. Cir. 1992) (en banc) decision. 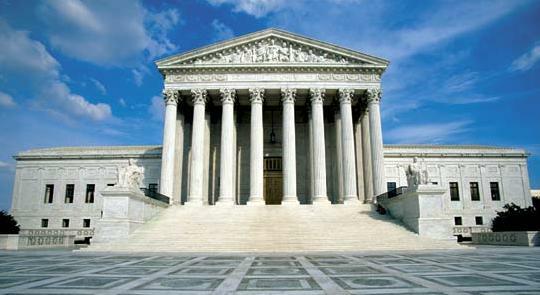 However, with the Supreme Court’s decision in Petralla v. Metro-Goldwyn-Mayer, Inc., 572 U.S. ___ (2014) decision that held that laches cannot bar a claim for damages for copyright infringement within the 3-year statute of limitations, the Court decided to address whether laches can still be a defense to a claim for damages for patent infringement. In considering this, the Court looked to the history of laches-type defenses, and concluded that they exist as a judicially-created defense by courts of equity when there were no statutes of limitation. However, “[w]hen Congress enacts a statute of limitations, it speaks directly to the issue of timeliness and provides a rule for determining whether a claim is timely enough to permit relief.” Therefore, because Congress created a 6-year statute of limitations for patent infringement, courts cannot override that statute of limitations with an equitable laches defense. Accordingly, the Court held that the laches defense is no longer applicable in patent infringement lawsuits. The dissent and appellee pointed out that the patent statute of limitations is unusual and warrants the continuance of the laches defense. The limitations period for a patent infringement claim does not begin to accrue from the point of infringement or the point at which a patent owner has a “complete and present cause of action.” Rather, the limitations period works backwards from the time of the filing of the lawsuit–it only limits a patent owner’s ability to collect damages to the period 6 years before the filing of the lawsuit. In other words, it does not matter if the patent owner knows of the infringement for a period longer than the limitations period (e.g., 10 years ago), but chooses not to file suit until today. Under the patent statute, the patent owner can still bring suit, but it will only be limited to damages occurring in the prior 6 years. This statute of limitations is unlike virtually every other statute of limitations, which would bar such an untimely claim. The majority rejected this distinction out of hand without a clear explanation. The dissent also pointed out that the majority’s decision creates a significant disincentive for patent owners (especially ones that do not compete with the accused infringer) to act quickly upon learning of infringement. Without the laches defense, a patent owner can sit back and wait until the time at which the most damages have occurred and then file suit. Previously, such a tactic would have run a significant risk that a court might uphold a laches defense and bar any recovery. The dissent also argued that the majority’s reliance on Petralla is not warranted because of the significant differences between copyright and patent law. With copyrights, the owner must prove copying, whereas patent infringement is a strict liability offense. Therefore, delay will tend to work to the disadvantage of a copyright owner because the evidence of copying may tend to fade with time. On the other hand, a patent owner does not have to prove copying, so the passage of time tends to work in the patent owner’s favor. For example, evidence of prior art or the state of the art at the time of the patent application may become lost with time, which would make it harder for an accused infringer to successfully argue that the patented invention was obvious or anticipated. As a practical matter, the laches defense was not often successful for accused infringers, but it created an important check against patent owners and encouraged them to timely bring lawsuits when they believed that their patent rights were infringed. It will be interesting to see how patent owners behave now that this check has been eliminated.